The internet has created quite a few famous vehicles. Remember when it started out with all kinds of myths and urban legends like the dead scuba diver in the tree after being scooped up out of a lake in a load full of water to put out a wildfire and other crazy stories like that? Ok, it’s even crazier today with “fake news”, but real stories like this 1974 Buick Apollo are my kind of news. This golden Greek God is listed here on eBay and it was made at least semi-famous in a story by our friends at Curbside Classic, a fantastic website. It’s located in Eugene, Oregon, a city that knows a thing or two about fun and unusual vehicles being used as daily drivers. The seller is asking $5,000 with the buy it now feature or you can make an offer. There are only two photos in the eBay link for some odd reason. 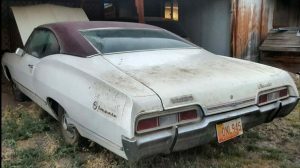 I’m assuming that they want folks to link back to the Curbside Classic story from March 5th, 2018 by Paul Niedermeyer. 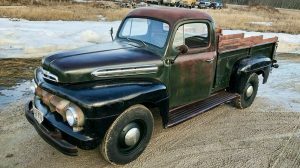 The seller says that this Apollo has “been my everyday driver since the engine rebuild in 2014.” They say that “The 250 straight 6 motor was rebuilt by Chuck Ray and has 25K miles on it. Car runs great, new tires and battery too.” That 250 cubic-inch straight-six would have had 100 hp when new. 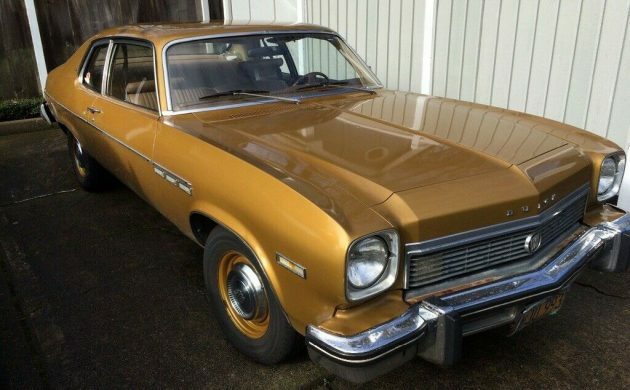 Buick only made the Apollo for three short years, from 1973 to 1975, and although there is some rust on this one it looks like a super interesting daily driver. 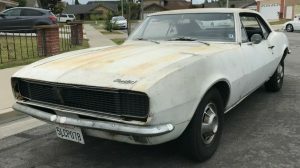 Do any of you have the fortitude/guts to drive a 45-year old car as your regular vehicle? I love it that some people do. 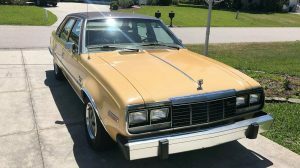 For reasons unknown I remember feeling that Buick & Oldsmobile had “stolen” Chevrolet’s Nova design when these were first introduced. I knew that platforms were shared across GM but for some reason the Omega and the Apollo annoyed me even to the point of having prjudiced feelings about the owners. On a positive note this wouldn’t be hard to drive around in at all. Also, I promised the attendant that I would start taking my meds EVERY day! Same cars. Different names and trim levels. In my opinion this is just a inferior nova with a 6 cylinder, that being said 5 grand seems like a fair price for it. $5K for a relatively reliable daily driver isn’t out of the question. This thing is really simple to work on. With the miles it has on it, you can expect to replace ball joints, tie rod ends, lots of bushings, etc. But you work on these with a 9/16″ open and box wrench, a couple screw drivers, and a dwell meter to adjust the points. You would have to order the points from Rock Auto, the local auto parts store won’t know what you’re talking about. My Dad bought Mom a 74 Nova version of this new. 350/TH350/PS/PB. She had it about 9 months when I graduated from college in the spring of 1975. It had about 6,000 miles on it, basically a new car with break in miles. Dad decided to give it to me for a graduation present and buy Mom a new car. I never had an offer like that before, it’s great. The problem was he wanted my 60,000 mile original 62 Impala in trade. It was a Northwestern PA car that had never been in bad weather when I got it with 32,000 miles in 1972. I walked and rode buses in Kingston ON for three years at school because that car sat in a garage at home. There was no way I’d let go of that car, so I said I’d take a fairly high end watch and be happy. That saved Dad a bundh of money. I still have the watch and the 62 Impala, don’t know where the 74 Nova went. Just shows how badge engineering makes fools out of people. These, ( and Omega and Ventura) never caught on like a Nova. Hello? It’s the same freakin’ car. Not sure why, had to be competitively priced, but everything was Nova, Nova, Nova. Cool people drove Novas, old folks drove the others. Be fun to leave the outside alone, and put the biggest motor one could stuff in there. Who’s stupid now? That 250 cubic-inch straight-six most definitely did not have 200 hp when new. They were 95 hp. Torque was 180. You’re correct, that was a typo, my apologies for not catching it. My late paternal grandfather had the 4 door version of this car- dark blue. With ZERO options. Manual steering, manual drum brakes, 3 on the tree, no radio, no ac, no wheel covers or whitewalls, no nothing. Not even a side molding. Four years of Sioux City Iowa winters pretty much turned it into swiss cheese. Gone now, but this car is the perfect platform for a “brand correct” street strip car. Probably about the lightest Buick you could stuff a 455 in, before you know it you’d have a sleeper 11 second car that looks like it rolled off the showroom floor as Flint intended. To the guy that has that build in his head, this was just about the perfect starting point and cheap at 5k.. I have a friend in Minnesota who did just that–stuffed a 455 into one of these. He had to relocate the battery to the trunk–was no room left up front for a battery. Can’t recall if he had to move the radiator or not. Someone at GM have a sense of humor? I’ve moved ahead, so to speak in car years, as far as I am going to go, I drive a 2002 now, It’s still fairly simple but also complicated in some ways. When it dies or I decide to get rid of it I’m going BACK in time to something like this. Like someone already said, very simple to work on, no sensors, no check engine light, no emission test, etc. I can get full coverage classic insurance for about $120.00 a year. I might even put air shocks on it and a set of mag wheels, but leave the drive train stock. Certainly an economical car, I’m pretty sure they will get their price. The same sentiment, John C. Driving a 2005 now, with an 86 and 63 alongside, Each get a week or two out at a time. If the 05 ever dies [71,000 miles now, not any time soon], I won’t replace it with something modern. 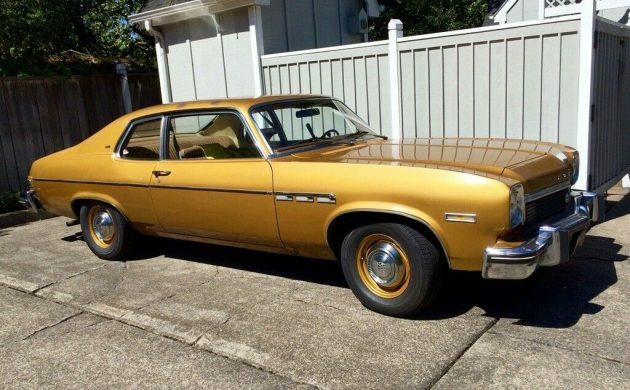 This Buick 2 door would be the perfect type of car. And the rear windows roll down. @John C. I think these cars DID have a “check engine” light, but it was only for something like the EGR valve or PCV. Might have even been for a oil change reminder. 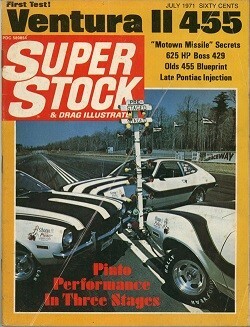 My 74 Nova and 76 Firebird both had them. Presumed they were the wave of the future and sure enough they were!!! yep….that was a nice one……..
My Dad bought one of these for Mom. 350/AT and dealer added PS&PB. I was 16 at the time and Mom would let me take it out occasionally. My buddy and I would cruise the local strip. All the other guys would smirk and make fun until we would light’em up at the light and smoke’em every time. Old lady car with a lot of go. Sure it was ugly and not a cool kid car but what the heck, we were 16. Good memories. Another EBay victim of “This listing was ended by the seller because the item is no longer available.”, so we’ll never know how the story ended. I read the Curbside Classic article, interesting story and cool that the owner saw the story and made a comment. Pontiac actually DID some experimentation of a 455 in a Y body…….